One of the world’s most famous cities, Los Angeles is the focal point of Southern Californian style, offering the dream of success in the movie industry, with the riches that go with it on display wherever you look. Whether it is to sample the beach life of Venice, the shopping of Beverly Hills or the excitement of Hollywood itself, Los Angeles has something for everyone. Of course, any trip to Los Angeles needs somewhere special to stay to make it truly memorable, we have found the finest hotels in the city for you. 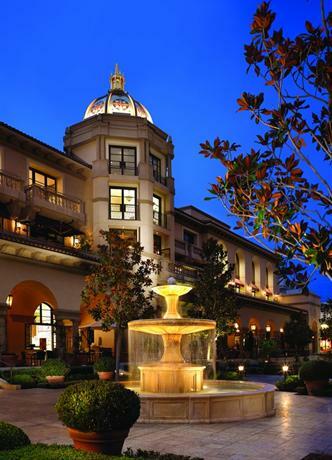 In a city with such a vast choice of luxury hotels, it takes something special to be top of the list, and the Montage Beverly Hills really is special. It starts with the location, just one block from Rodeo Drive and the world-famous retail stores that it is home to, and it has its own gardens, the only hotel in the area to do so, that allows a view that is more akin to a resort than the middle of a dense city. From the outside, it is a magnificent looking building, projecting a grandeur more reminiscent of the early 20th century than the 2008 creation it is, but with the fountains and marble, you cannot fail to be impressed. The design throughout makes this a special place, classically elegant with touches of modernity throughout, everywhere you turn, from the impressive murals to the winding marble staircases, you feel you are in a Hollywood classic, and yet the comfort and facilities remain very much of this century, and somehow the two blend perfectly. With 201 rooms, there is a vast choice on offer, right up to presidential suites offering a truly massive 2000 sq. ft. Service here is perhaps the very best, not just in Los Angeles, but simply anywhere, and for all the grandeur and opulence, it is the service you will remember the most and return for again. When it comes to hotels in Beverly Hills, the levels of opulence and beautiful design on display reaches far beyond anything you will find in most other cities in the world. With so much competition in a relatively small area, this should be expected, but it is still something that takes your breath away every time you visit any of these hotels. 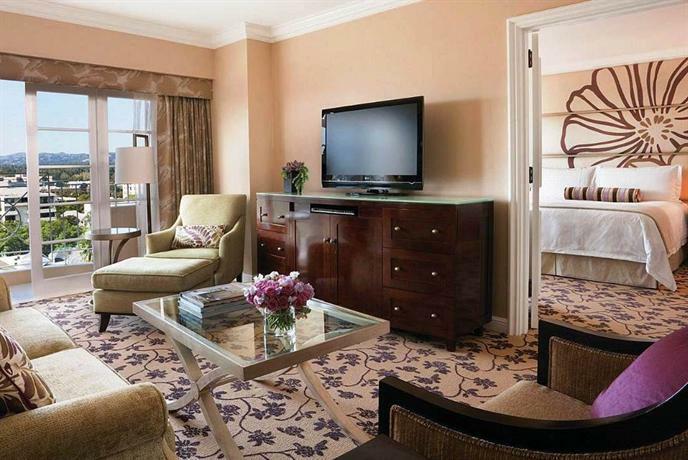 The Peninsula has been at the forefront of that opulence, beauty and service for decades, and it never lets you down. 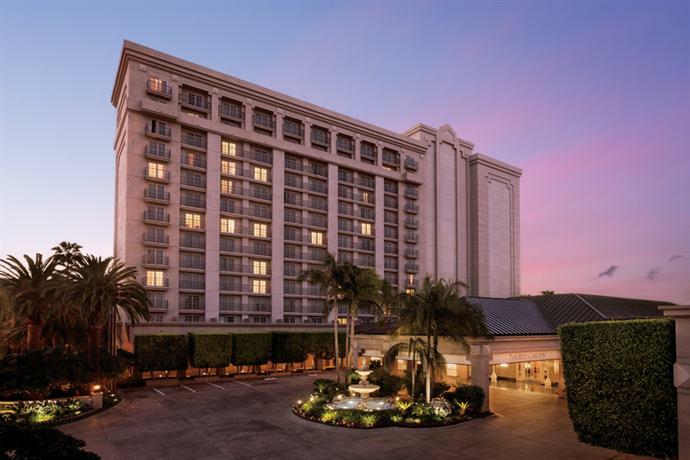 195 rooms of classic renaissance style located near Rodeo Drive bring all the luxury and comfort you could wish for, but the incredible service is where you really understand why this is a hotel that has been at the top for so long. From the white uniformed bellmen to the personally monogrammed pillowcases they encourage you to take home, it is an experience that puts you at the center of the hotel’s world. A truly personalized service that provides everything you may need. No less than 4 restaurants and bars provide a variety of dining options, including the roof garden that is perfect for breakfast in the morning sun. This is a hotel that provides a complete experience, the archetypal modern luxury hotel. 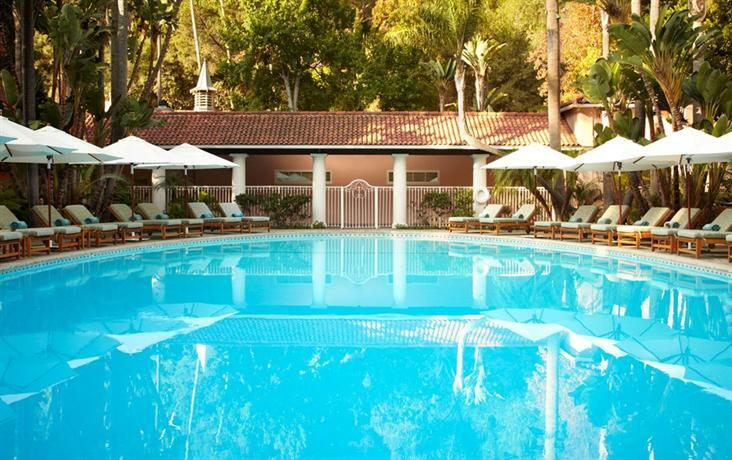 Bel Air is a striking hotel, it enjoys a wonderful location in the middle of one of the most exclusive residential areas in the world, and is just a few minutes’ drive from Sunset Strip, or a half hour drive from the beach at Santa Monica. The first thing that really grabs your attention as you approach is the color, the pink stucco has become a trade mark for the Bel Air, but the first time you see it is always a shock. A swan filled lake completes the first impression, and that is that this is a hotel that is gloriously over the top. Arriving at the Bel Air, one of the wonders of the place is that anyone, even me, instantly feels like a star. Every guest walking through the door gets the full VIP treatment, it is service that few others match, and it makes a stay at the Bel Air a must. Housing 103 rooms of various sizes, from a regular room to a 7,000-sq. ft. presidential compound, all share impeccable deign, the finest materials and, although some may object, those hi-tech computerized toilets from Japan. With a Michelin starred chef at the helm, the food is exquisite, with a choice of restaurant, bar or room service, the standard remains the same, and the service second to none. Located in the residential part of Beverly Hills, it is within walking distance of shops and restaurants, however with a free Rolls Royce shuttle service provided for guests, few will take a stroll. The building itself lacks the design flair of others in this list, but size alone makes it an imposing structure to arrive at. With 285 rooms, all with provided iPad to use the various digital features of the service, there is a varied choice of sizes, although the standard of presentation and décor is excellent throughout. 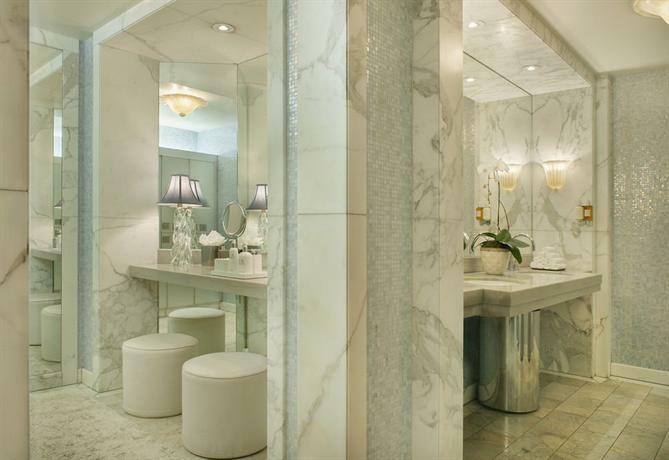 The whole hotel is built around a floral theme, and this is enhanced with marble, and opulent materials in subtle colors. As with other Los Angeles hotels, the level of luxury on offer are unlike few others, you feel indulged from the minute you arrive. Fresh floral displays are everywhere, and create a somewhat unique ambience that so many love, and the hotel itself has several dining options to cater for any mood or appetite. The spa at the hotel is famous around the world, and often plays host to celebrities, for pampering and a relaxing day, it couldn’t be bettered. 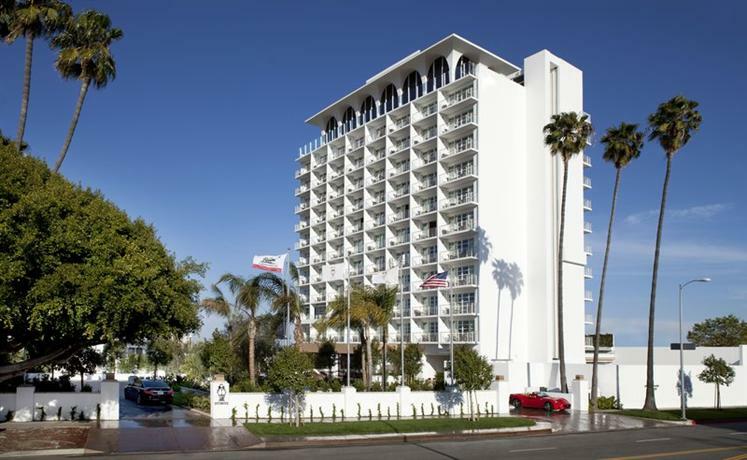 As the name suggests, located in the heart if Beverly Hills itself, this beautiful hotel is situated for easy travel to the stores of rodeo drive or the sights of Sunset Strip, and has easy access to the beaches of Santa Monica. Of all the hotels in Los Angeles, the Beverly Hills Hotel is perhaps the most recognized, its signature palm print décor design that is found on the walls and furniture remains today, just as it was in 1942 when first created. That iconic design is accentuated by bold prints and good use of striped fabrics, it was modern when first created, and just to emphasize how wonderful that design was, it still looks fresh today. 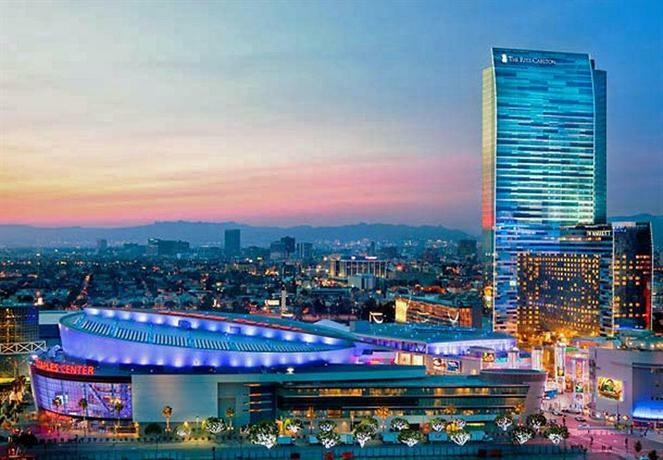 Located at the LA Live entertainment complex in downtown LA, next to the Staples Center and the LA Convention Center, the hotel is well positioned for those wishing to spend time in Downtown LA or easy access to the coast. With 123 rooms, a spa and a rooftop heated pool with views across the city, it is the definition of a modern hotel. A glass and steel skyscraper, there is no real architectural interest here, but inside the theme is modern with clean lines, subtle colors and a relaxed atmosphere. Plenty of activities are provided, with a fitness center, spa and exceptional restaurant. It is a little soulless compared to some, but provides the service and luxury you expect. 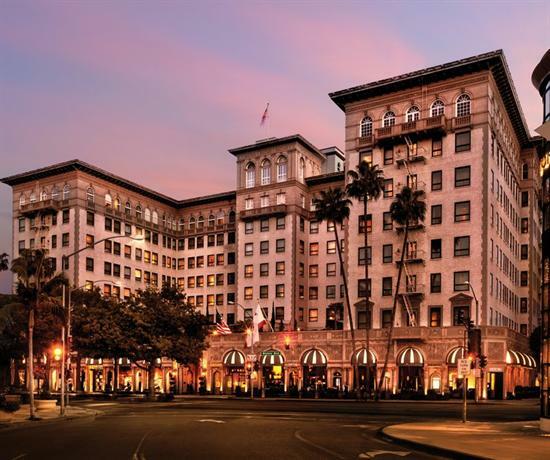 Just across the street from Rodeo Drive, if you like the idea of the finest stores on your doorstep, the Beverly Wilshire is the place to stay. Built in 1928, the Beverly Wilshire is a landmark in the city, and its ostentatious design and reputation for opulence to satisfy even the most demanding of movie stars give it an enviable reputation. There are 400 rooms, and they do live up to the reputation, with beautiful furnishings, luxurious fabrics and service to match. The restaurant and steakhouse on site offer some of the best dining in the city. Luxurious living is the name of the game here, and they play it well. Hidden away on a tree lined residential street in the heart of Beverly Hills you find the Viceroy L’Ermitage, a contemporary designed, intimate hotel that the A-listers love for its anonymity. On offer are 116 rooms, all follow the same, modern chic theme and use a pale pallet with touches of metallic color to good effect. 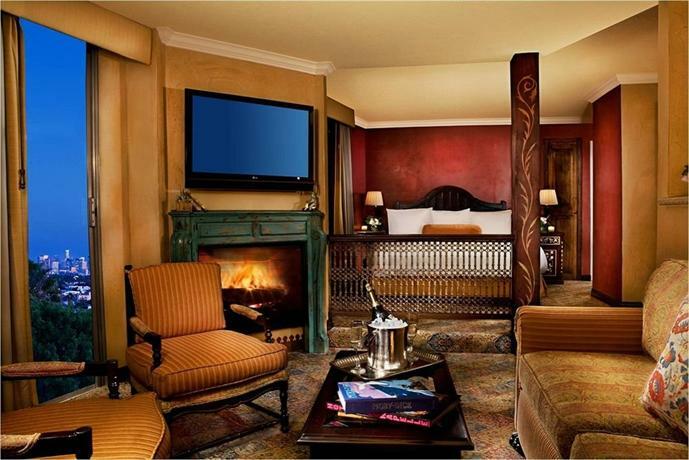 The finest materials and thoughtful design make each room a wonderful place to relax. Service is, as it has to be in Los Angeles, excellent, with the spa and rooftop swimming pool being particular favorites. It is real luxury living, but with a slightly more restrained approach than most alternatives. 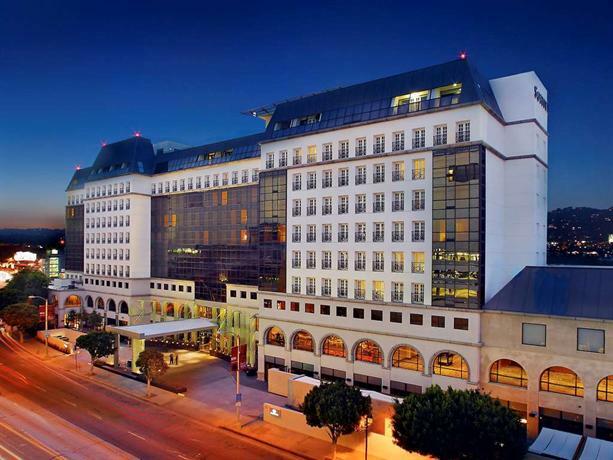 A masterpiece of Southern Californian style and modern glass construction the Sofitel Los Angeles at Beverly Hills brings a touch of French style to the Hollywood glamour of the area. Thoroughly modern, it is a beautiful building inside and out, with each of the 295 rooms enjoying the same, subtle design and benefitting from the marvelous signature feather bed you find in all Sofitel hotels. While the European edge may give the design some restraint, they have gone overboard on the luxury and service, everything feels special, and with views across the Hollywood hills from many rooms, you can’t help but fall in love with it. Right next to Sunset Strip in West Hollywood, the hotel actually resembles a private apartment building, being a somewhat nondescript white high rise. However, looks can be deceiving, because inside is definitely not nondescript at all. Marble greets you everywhere in the lobby, while each of the 200 rooms can be defined in one word, quality. Everything about the hotel once inside feels special, luxurious. Interiors were designed with a significant London influence, and that staid elegance runs through the rooms, providing beautiful rooms to match the views across the hills outside. A rooftop pool gives an even better view, and the restaurant offers a Californian twist on the New American cuisine. About a mile from Rodeo Drive and a short drive to the beach, Mr C Beverly Hills is well located, and with clever use of trees and bushes, remains somewhat hidden from the roadside view, making it feel more like a private resort. Step into the lobby, with its marble floors and Grand Piano, and you realize this is somewhere special. Within its 125 rooms you find real style, with Italian furnishings and in-room bars, they feel like a private apartment more than a hotel room, it is intentional, and it works really well. The restaurant offers a New York style menu, and again, style and quality come to the fore. This bohemian styled hotel is located in the heart of West Hollywood near to both Sunset Strip and Santa Monica Boulevard, and presents an eclectic take on the boutique hotel experience. Using a variety of textures, colors and materials, including shabby-chic furniture for a unique look, the hotel brings a relaxed ambience that you can’t help but share the longer you spend there. The 80 suites follow the same design, pairing Venetian Plaster walls with exquisite linens to create a mix of styles that should not work, but somehow does. The rooftop garden offers a wonderful dining experience, using fresh herbs, vegetables and fruits grown in the garden itself. 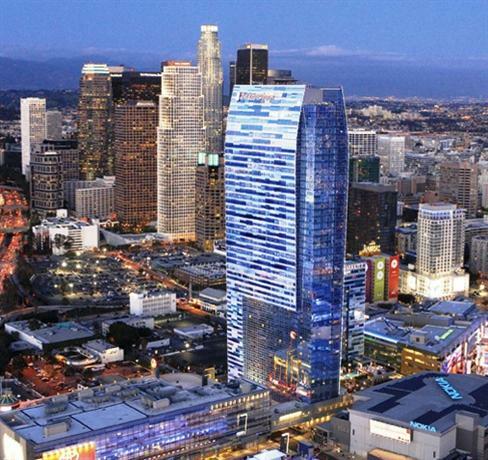 Housed in a blue-tinted glass and steel high-rise in Downton LA, the Marriott sits overlooking the LA Live entertainment complex, with its dining and shopping facilities a few steps away. Also nearby, is the Staples Center and the Grammy Museum, so perfect for sports and music fans. Spread over 54 floors, the hotel is the epitome of a modern chain, efficient service and excellent, comfortable rooms, spacious even by LA standards, that feature a clean, modern style that fits the ambience of the hotel well. 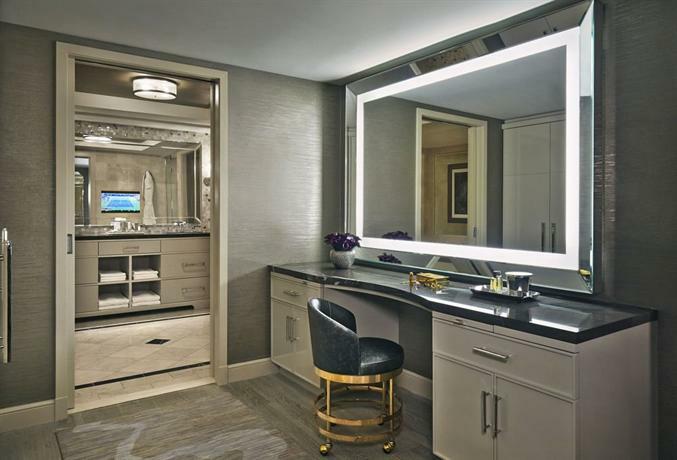 With an ergonomic work desk and marble clad bathrooms, there is the touch of elegance and thought that sets this hotel apart in every room. There are no surprises here, but it does the expected very, very well. Just 5 miles north of LAX airport, this hotel is all about the location. Set by the waterside, it overlooks one of the largest man made marinas ever constructed, and the proximity to the water, the world-famous Venice beach and with some added travelling, Malibu beyond defines the whole hotel. Inside, with marble floors and cascading lighting, the lobby provides taste of the laid back, modern luxury that this hotel provides. Rooms are spacious, with nice use of quality materials throughout. However, it is the view that dominates, looking out over the marina provides an ever-changing backdrop that proves incredibly relaxing. With outside dining to really enjoy the waterside setting, it is a hotel with just a little extra, and that extra is the view. For those looking for something completely different, The Charlie is about as different as you can get in Los Angeles. This boutique hotel opened in 2008, but at its core are a series of historic apartments first built in 1924, that were home to some of that eras legendary celebrities, including Charlie Chaplin, from whom the hotel gets its name. 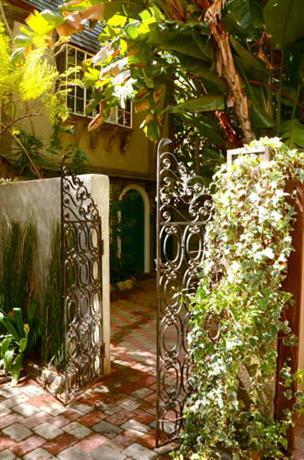 Each apartment is named after a star who is associated with it, and they are modeled on British bungalows, each more of a private dwelling than a part of a single hotel. Inside, each feature elegant décor, with touches of that golden Hollywood era thrown in to bring the history of the place to life. With a complete kitchen as well as a washer and dryer included, it is a home from home, not just a place to stay. Quiet, tucked away from the cords despite being right in the middle of West Hollywood, The Charlie offers a unique experience, with great service and a sense of history brought to every apartment.